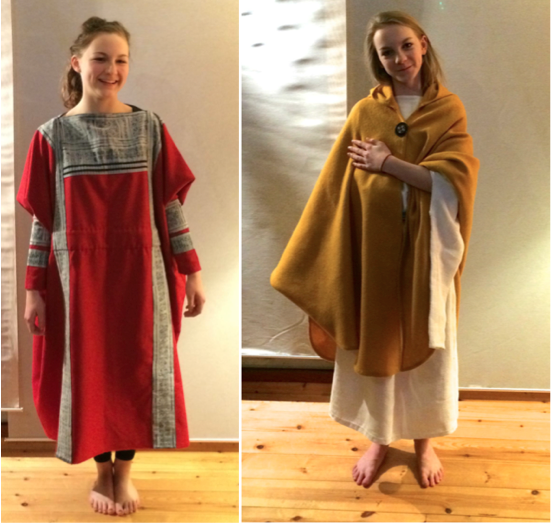 For the past few months, Faith Morgan has been creating reconstructions of a number of garments from museum collections. The goal in making these garments has not been to produce exact replicas using original techniques, but rather to try and duplicate the overall look and feel of the garment by reproducing as closely as possible the fabric, colour, design, weight and dimensions of the archaeological exemplars. There are a great many depictions of people from the late antique period which can help inform such reconstructions; unfortunately, the constraints of these various media coupled with variable skill on the part of the artisans means that many of the garments depicted are often hard to understand or interpret. Similarly, examination of extant garments and garment fragments brings up a number of questions: many of the whole tunics are extremely large and wider than they are long, which is not always apparent in the contemporary depictions; many also have details such as underarm openings and wide waist tucks, which are rarely if ever clearly depicted. There is also a huge variation in the size of tunic sleeves, from almost as wide as the garment itself, to so narrow that it would be impossible to fit around an arm; all these details would clearly have affected how the garment looked on the body, but may also have had a bearing on when and why it was being worn. 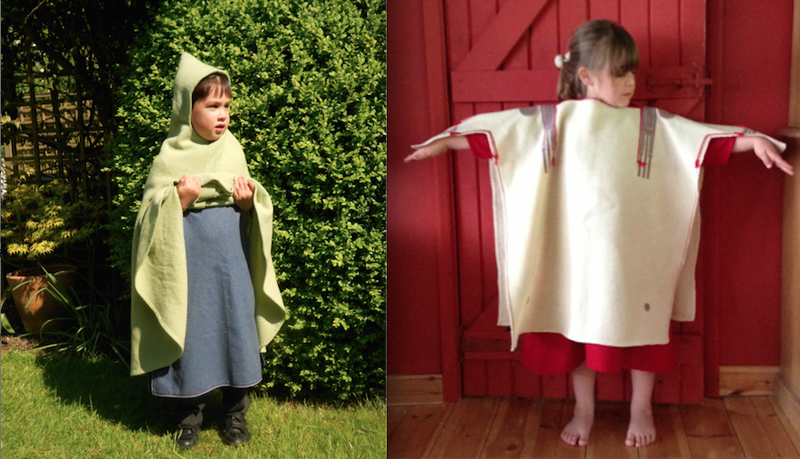 Faith has also reproduced late antique children’s clothing from archaeological evidence. Having made the reconstruction garments, the next step was of course to see them being worn; fortunately we had a number of willing volunteers in the members, friends and family of the VLAC research group! Understanding the details of dress is integral to a project called ‘Visualising the Late Antique City’; reproducing garments based on actual archaeological finds and seeing them being worn is essential not only for enabling the correct interpretation of the depictions of the time and thereby creating accurate illustrations, but may also help to answer questions about how, when, where and by whom various different garments were worn. 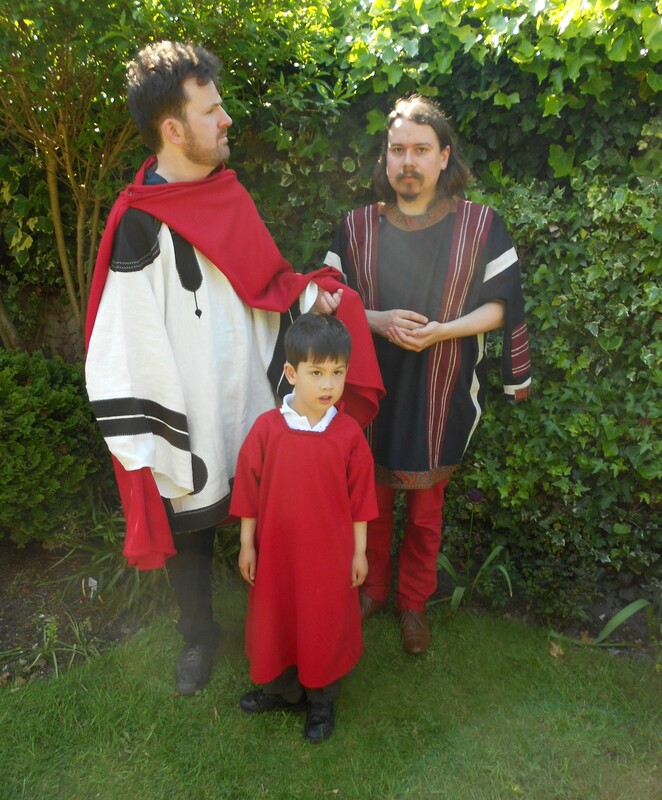 Members of the VLAC team getting into late antique character!